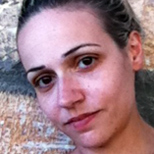 Dr Emmanouela Mylonaki joined London South Bank University (LSBU) in 2006 as a Senior Lecturer of International Law. She is now a Reader in Law, Associate Professor and the Director of Postgraduate Programmes, leading LLM and PhD programmes. She has held a variety of teaching and research appointments and has been a Fellow of the UK Higher Education Authority since 2008. Her qualifications include: LLB (Athens), LLM, PhD (Bristol), MPhil (University of Cambridge), PGHCE (LSBU), MA Text and Performance (RADA). Emmanouela's research is concerned with the contemporary international and national counter-terrorism legal measures and the relationship between international terrorism and other forms of criminal activities such as transnational organised crime. Emmanouela is an international legal scholar and an international lawyer with a strong interest in the international criminalisation of terrorism. At the centre of her work is a concern with the contemporary forms of the phenomenon of terrorism and the ways in which such phenomenon are dealt with by the international community through the adoption of particular legal frameworks. Her research profile expands beyond the purely legal approach to a socio-legal investigation of the subject of terrorism. Since 2001, Emmanouela has been an Attorney at Law, Athens Bar Association, Appeals Division (currently on leave). 2001-present: Attorney at Law, Athens Bar Association. Appeals Division. 2003-04: Institute of Advanced Legal Studies, Group of Governmental Experts on the Financing of Terrorism. 2009: Fellow of the Onati International Institute of the Sociology of Law. 2009-present: Fellow of the Higher Education Academy, UK. 2009-14: IP Erasmus Intensive Programme (partner institutions: Ulster University (Belfast), Pecs University (Hungary), INHOLLAND University (Netherlands). Criminal Law and Justice Weekly, Member of Criminal Law and Justice Weekly Panel of Experts. Reviewer for Political Studies Review. Member of the Editorial Board Canadian Centre of Science and Education.